General-purpose Vinyl Tape 764 can be used in noncritical applications such as color-coding; bundling and safety marking; temporary marking of parts or machines; and protecting parts, equipment or products from abrasion. 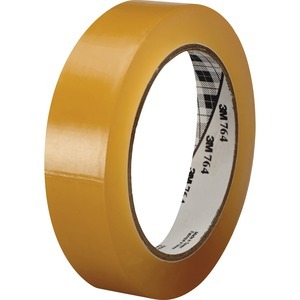 The noncorrosive, abrasion-resistant tape is conformable to contours, moisture-resistant and wear-resistant. It is easy to apply. Brightly colored tape features a vinyl backing, rubber adhesive and good instant adhesion. It should not be used for electrical applications.